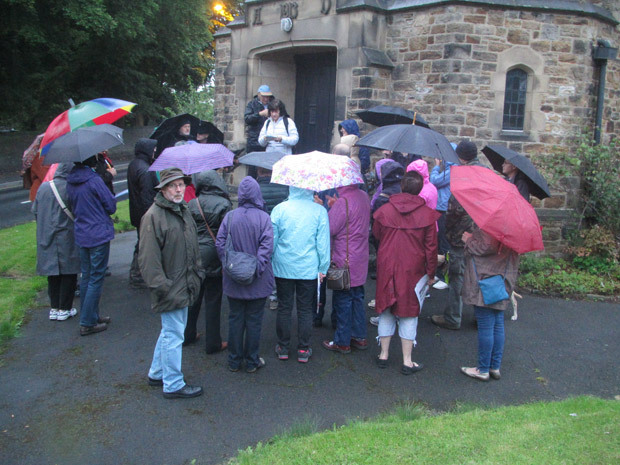 Over thirty people walked the streets in drizzly conditions on Wednesday evening this week for the Crosspool Chronicles history walk led by Jan Milward and Lindsey Beagles. The event was arranged so that people working during the day had opportunity to attend an evening repeat of the original history walk which took place during Crosspool Festival week. This entry was posted in crosspool, crosspool festival 2015, history, photos and tagged crosspool festival, history, walk. Bookmark the permalink.